Gardens of God emerge from a burgeoning Lithuanian Electronic scene that is continuously giving birth to some of the most exciting electronic music on offer in recent months. 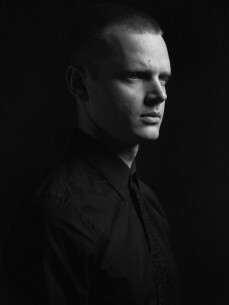 With the Gardens of God project he delivers a mature and complete sound weaving between House, Techno and Electronica. His debut 'YS' EP found a fitting home on Maceo Plex's Ellum Audio, while arguable his bigger follow up 'Gluk' was recently released on Ten Wall's Boso imprint, being named 'Pete Tong's Essential New Tune' in the process. Gardens of God's rounded production; combining deep and interesting layers, is wining him instant plaudits of DJs, fellow producers and music fans alike. His atmospheric House tracks of immense quality are all making waves on todays dance floors and it's clear that this is a producer who has a lot more to give in 2014 / 15.